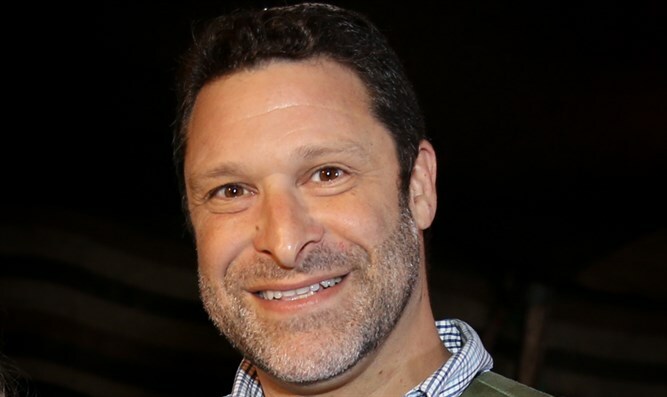 A South African Jewish teenager wrote a song memorizing Ari Fuld, a little more than a month after he was murdered by an Arab terrorist at the Gush Etzion intersection. "All Jews are one family, I'm 18 yrs old from Johannesburg South Africa, and composed and performed this song in tribute and memory to the late Ari Fuld - Lion of Zion," wrote Calev Freeman. "I was deeply moved and touched by the very emotional hespedim ( eulogies) delivered by Ari's wife, children, and family that inspired the writing of this song," added Freeman. "The female voice clip at the 15 seconds is that of Ari's daughter during her eulogy saying that "My dad always told me and it stuck with me forever...If life is easy, you're living it wrong .."
"May Ari's love and self-sacrifice for the Jewish People, for Torah, and for Eretz Yisrael, be a shining light and example for all of us, and may Hashem bring Nechama (comfort) to his entire family," concluded Freeman. Fuld was killed in September when 17-year-old Khalil Jabarin stabbed him in the back near a shopping center in Gush Etzion, south of Jerusalem. Born in the US, Fuld immigrated to Israel and settled in the town of Efrat, south of Jerusalem. He was a pro-Israel activist and fundraiser, who also served as a member of Efrat’s rapid response security team.